(CN) – James Dolan, the billionaire CEO of Madison Square Garden Co. and fan-derided owner of the New York Knicks, will shell out more than $600,000 in civil penalties to settle charges by the Federal Trade Commission that he violated securities rules. According to an 8-page complaint filed Thursday by the Department of Justice at the request of the FTC, Dolan violated the Hart-Scott-Rodino Act by failing to notify government agencies of his acquisition of 591 additional voting securities in Madison Square Garden Company when his ownership value exceeded the applicable statutory threshold. The adjusted threshold for filing at the time of 2017 acquisition was $161.5 million. Dolan, 63, part of the family of CableVision fortune who acquired Madison Square Garden in 1994, took over as chief executive officer one year ago after his predecessor David “Doc” O’Connor was ousted in November 2017. The DOJ’s complaint, which implies that this was not Dolan’s first HSR Act filing violation, also alleges that he failed to observe the required premerger waiting period prior to the acquisition of the shares. At the same time the complaint was filed in Washington, D.C., federal court, the government also filed a stipulation and proposed final judgment under which Dolan must pay a civil penalty of $609,810. 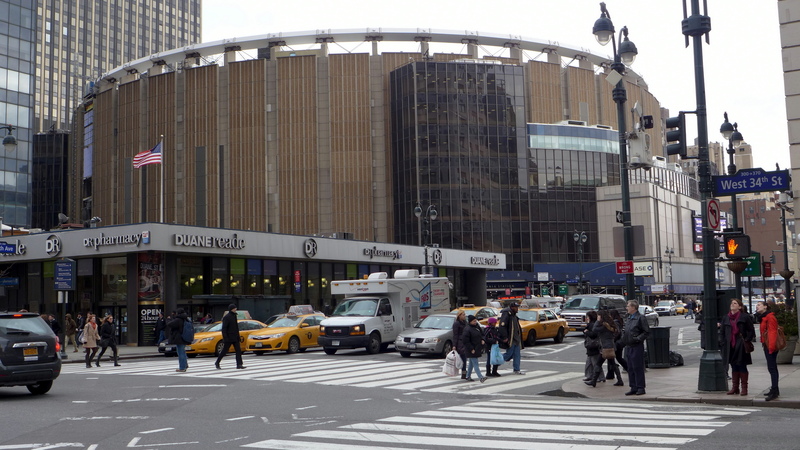 When reached for comment, the Madison Square Garden Company pointed to the law firm Debevoise & Plimpton as the entity responsible for Dolan’s filings. “Debevoise inadvertently missed a required HSR filing deadline, for a second time, which resulted in a fine by the FTC. Debevoise agreed to pay the fine as a result of their mistake,” the company said in a statement Thursday. Debevoise & Plimpton declined to comment on the case. According to media reports on regulatory filings earlier this year, Dolan is expected to be awarded a compensation package worth about $50 million for the last fiscal year. The Department of Justice’s complaint was filed by Makan Delrahim, assistant attorney general for the Antitrust Division.